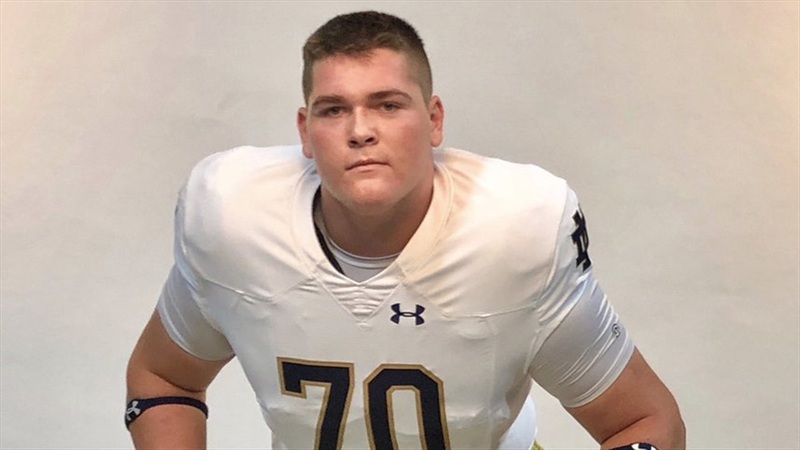 Coach: 2020 OL Zak Zinter "Great Player, Even Better Kid"
Zak Zinter‍ has been steadily piling up the scholarship offers for months now and on Thursday night, the 2020 Massachusetts offensive lineman added another one, Notre Dame. “Great player, even better kid,” Buckingham, Browne & Nichols head coach Mike Willey says of the 6-foot-6, 315-pound junior. Being a leader at an elite prep school is an impressive accomplishment. Zinter transferred to BB&N from St. John’s Prep, Notre Dame head coach Brian Kelly’s alma mater, before his junior season. “We knew he had some serious athletic ability and more importantly, when we talk to people about coming to our school, a lot of it is about our culture and the subset of our football culture, needing to fit into what we want to do,” Willey explains. Zinter’s offer sheet also includes schools like Ohio State, Michigan, Michigan State, Penn State, Northwestern, Nebraska, Miami, Duke, Tennessee, Boston College, Dartmouth and Yale among several others. Notre Dame could end up being a fit based on his current school.